I love to be inspired by grain free recipes online. 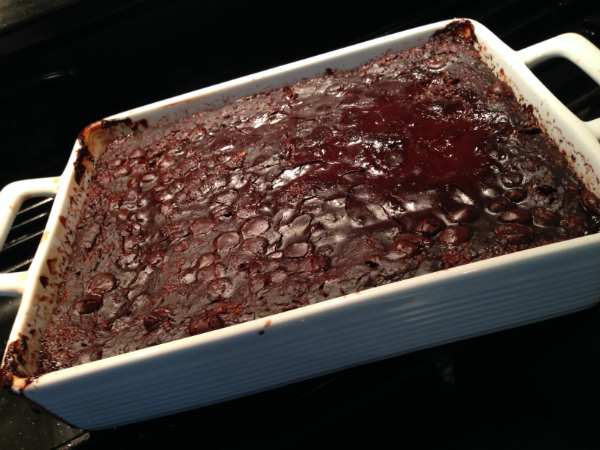 Yesterday I was looking for a moist chocolate pudding and came across a Recipe from homemadehealthyhappy.com for self saucing chocolate pudding. <-click here for Recipe I used this as inspiration and changed things slightly. 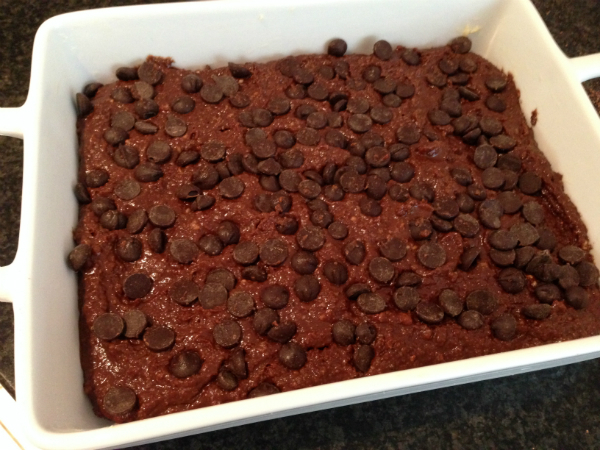 >Homemade Healthy Happy < has lots more grain free and gluten free recipes on the website. Do go and have a look! My version uses half ground hazelnuts and half ground almonds. 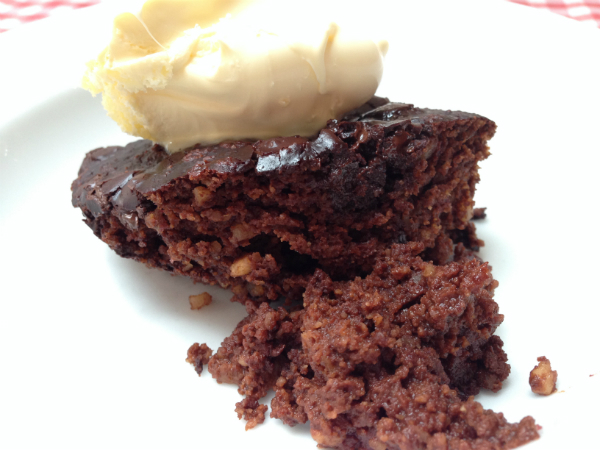 I also used processed dates instead of raw honey in the pudding mix. I weighed out 250g of a mix of ground almonds and ground hazelnuts , about half and half. 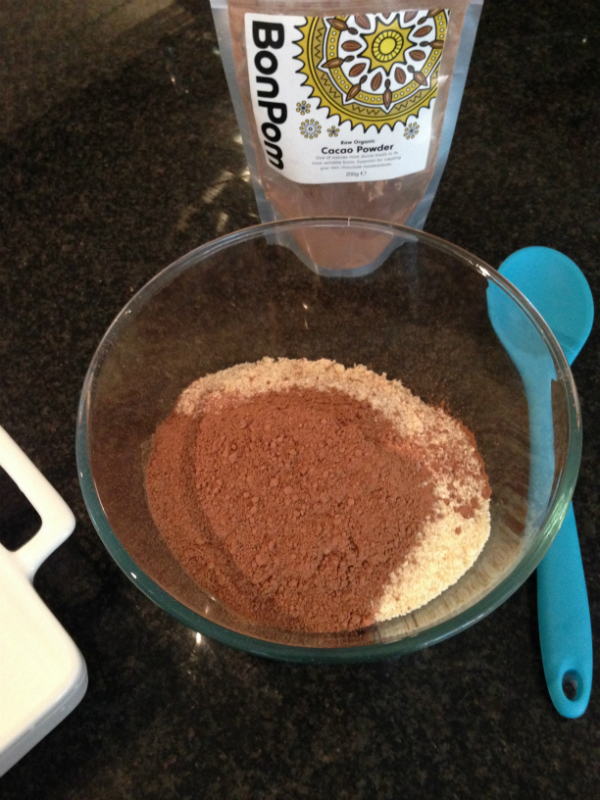 I ground the hazelnuts myself using my food processor until they resembled flour. 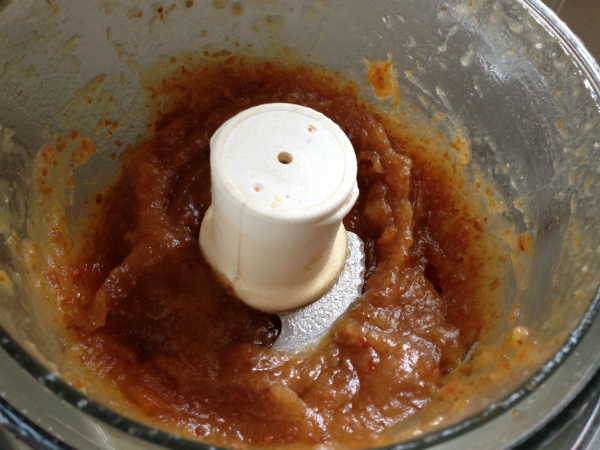 I added the dates and approximately 100ml of the soaking water into my food processor and blended until smooth and like a sauce. 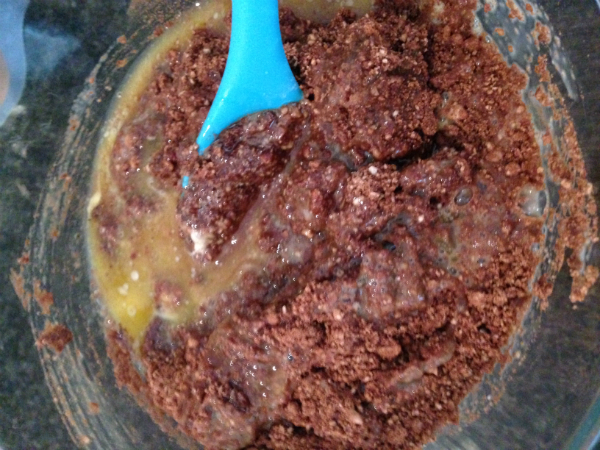 To the dry ingredients I added the processed date sauce, beaten eggs and melted butter and mixed well together. 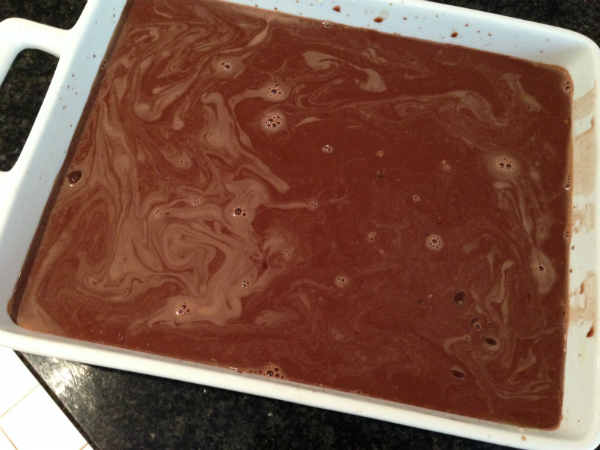 I had pre greased a 2 L rectangle ceramic ovenproof container and spooned the mixture in and smoothed flat, to this I sprinkled the chocolate drops evenly over the surface and pressed down slightly. 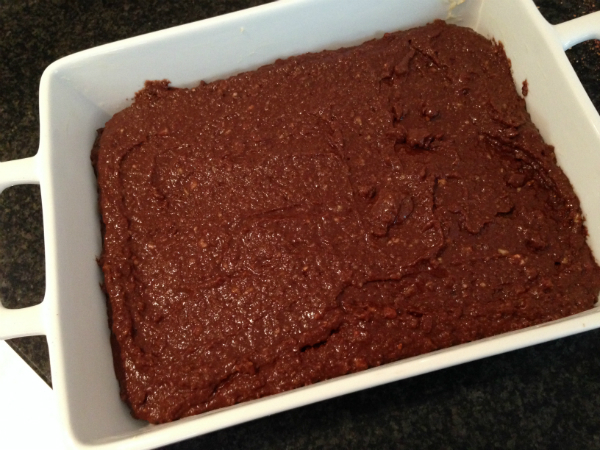 In the food processer I added 30g cacao powder and 300ml boiling water and 60g raw honey. I mixed these together for a few seconds. 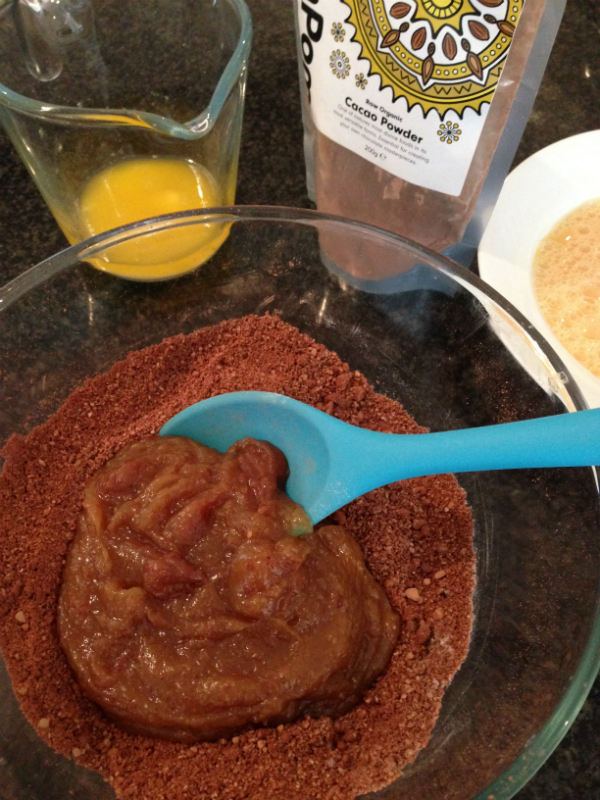 This is then poured gently on to the surface of the pudding, looks weird but it works! I baked the pudding in a 165c oven for 50mins, My tip would be to take a look after 40 minutes I left mine a little to long. It should still have a little sauce on top I think. 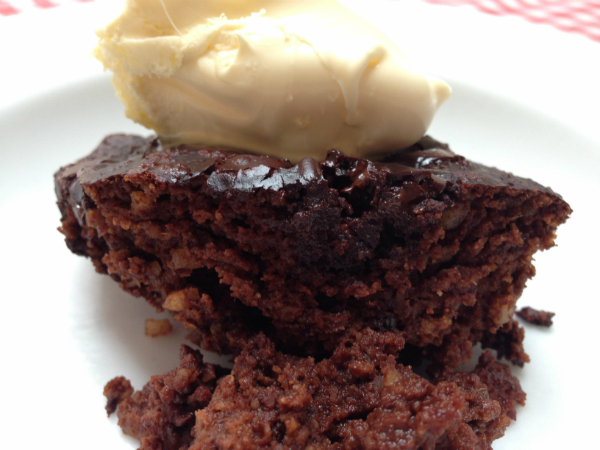 It is best to serve the pudding straight from the oven , I served mine with a big dollop of clotted cream. It can be warmed for a short time in the microwave too. 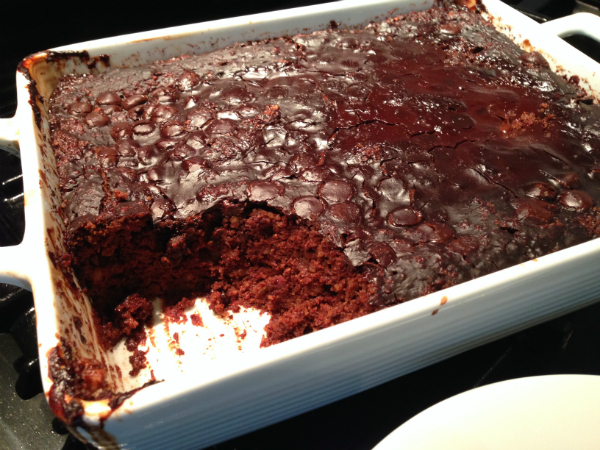 Hope you enjoy this indulgent chocolatey pudding as much as I did.